Sorry Cat Tuesday has been inexplicably MIA the last month. I guess I won't be posting every week anymore, but I will post when I have something cat-tastic to share. 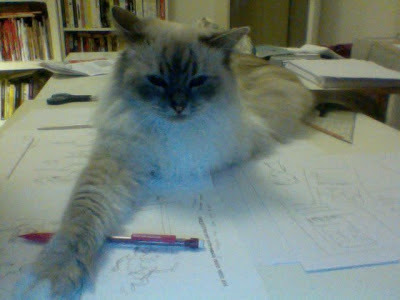 Yesterday, Kaia refused to allow me to work on my latest picture book project with Daniel. So, you know, I had to read instead. Awwwwwww, so cute! My cat likes to stand in front of the book I'm reading. So adorable and irritating all at once! It is the amazing but rare glow-in-the-dark kitteh!!! This was my cat, Cocoa, the other day. She laid across my laptop so that I couldn't work either, so I had to read. It's such a hard life.